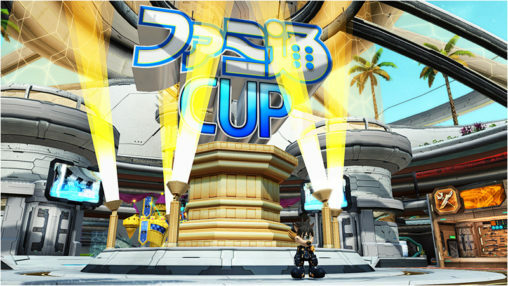 The Famitsu CUP is an interlocking WEB event where players can earn rewards by unlocking panels listed on the official event site. 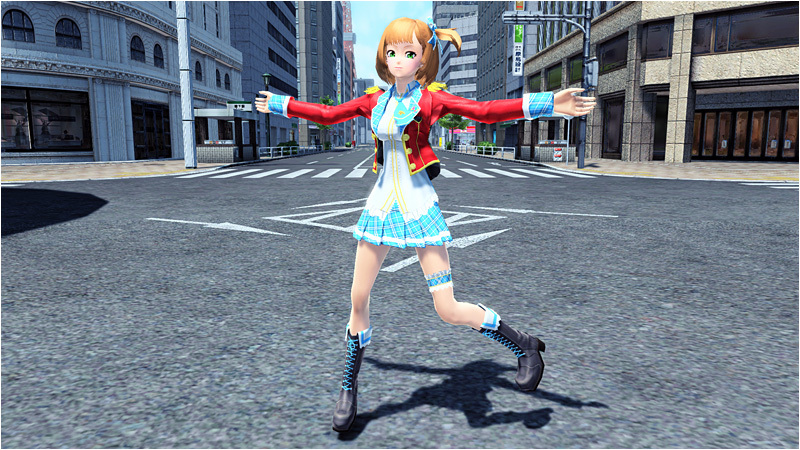 The event will be hosted by none other than Necky, the official mascot of Weekly Famitsu! He will be appearing in front of the Famitsu CUP logo, prominently displayed in the center of the shopping lobby. Dive into a Virtual Reality replication of Lillipa’s Mining Base field in the [Necky’s Trials] Emergency Quest! 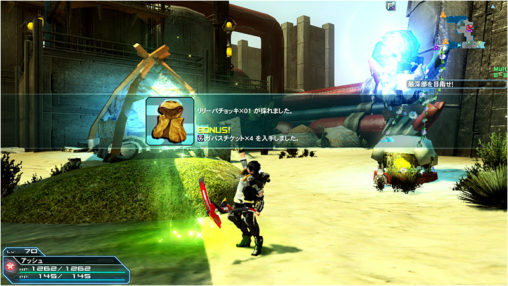 The quest is full of enemies that have never before appeared in that field. 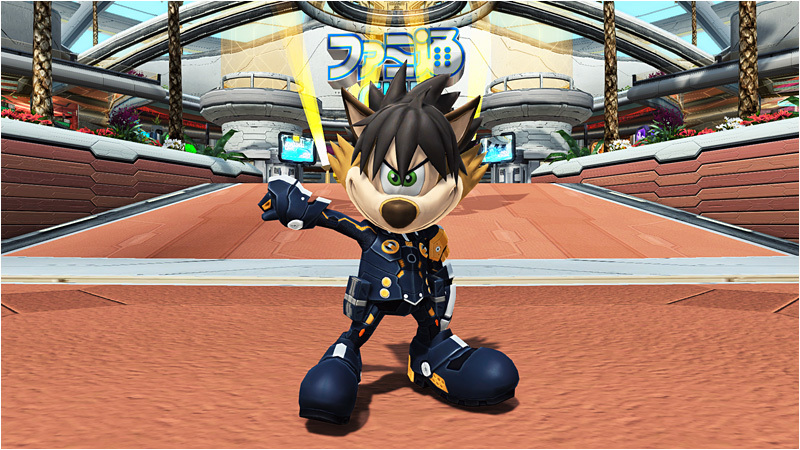 Necky will be handing out client orders with objectives that can be cleared within his upcoming Emergency Quest. By clearing these orders, you’ll receive items called “Gavas Tickets,” which can be traded in at his shop for Famitsu related content. Tickets you’ve collected throughout the event can be exchanged for prizes such as Famitsu T-shirts, posters, and other related items. 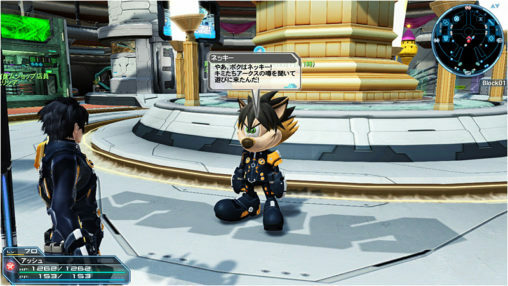 Included in this shop is the elusive Necky Suit, along with a Pitri Mag device familiar to veterans of the original Phantasy Star Online. You can use any of the following methods to obtain Gavas Tickets for the Exchange Shop. 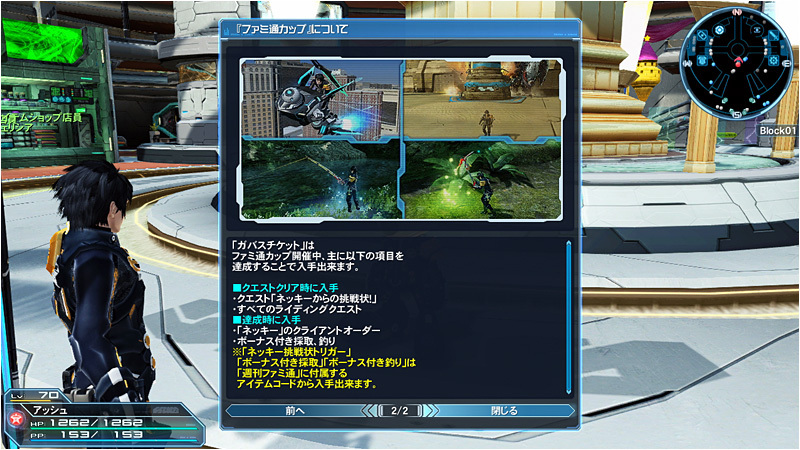 By using the Famitsu Pickaxe or Famitsu Fishing Rod. ※ Famitsu Pickaxes and Famitsu Fishing Rods will be available as Item Codes in the Famitsu Weekly that goes on sale November 10th. Purchase select issues of Famitsu Magazine to find item codes for several in-game bonuses, like Famitsu branded fishing rods and pickaxes. You can use these items as an alternative way to find Gavas Tickets. Also included is the Necky Trials Trigger, allowing players to initiate the Emergency Quest on their own schedule. Running until December 21st, the Necky Collection will offer 8 new Orbit weapons under the New-Type classification system. These items will use the same potentials as previously released weapons in the Orbit series. 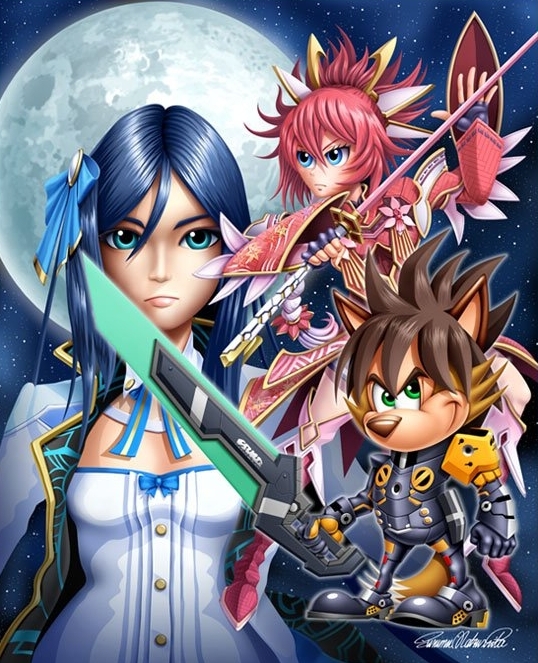 ※ It appears, the gunslash weapon, [Atol Orbit], is not included in this collection. 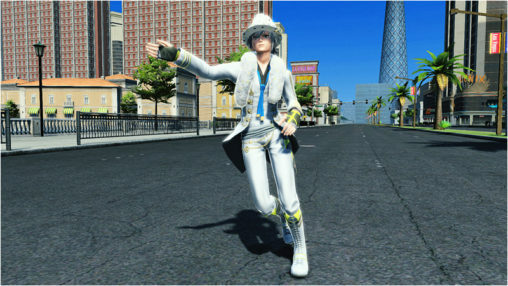 Instead, this item can be obtained as a drop from Necky’s Emergency Quest on XH. 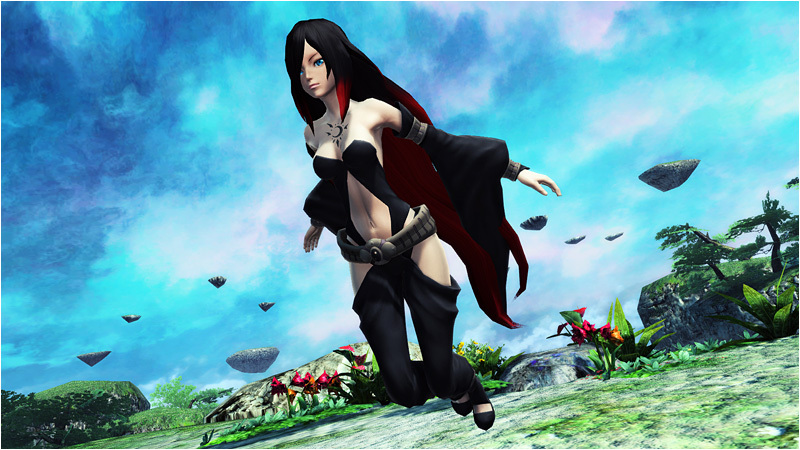 Kat and Raven rush their way into PSO2 in a mutual collaboration with Sony’s upcoming Gravity Daze 2 game! 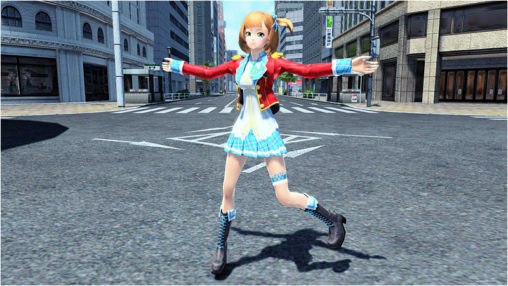 In addition to their costumes and accessories, players can become a star with new idol themed layered wear. Higher quality videos have been uploaded to the official youtube channel. Here you can watch the Raid Boss Reveal, and Late November Trailer.